How much does a Gulfstream G550 and G650 cost? Gulfstream Aerospace produces a number of long range corporate jets such as the G500, G550, G600 and G650. These luxurious aircraft can fly on intercontinental routes such as London to Los Angeles or Dubai to Tokyo. Ever wondered how much a Gulfstream G550 or G650 costs? Let’s take a look at each Gulfstream heavy jet in turn with a brief aircraft specification statistics. We will give an average list price for a new Gulfstream aircraft though this will also depend on the fittings and specification level required by the purchaser as well as price negotiations. The Gulfstream G500 entered service in 2018. It is a replacement for the Gulfstream G450 which has ceased production after 365 units were produced. 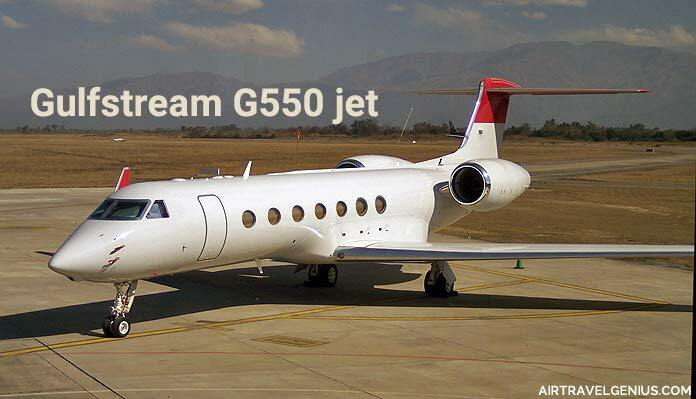 The G450 had a list price of around $40million. The G600 is expected to enter service in 2019. The G650ER is basically a G650 aircraft with an extra fuel tank giving it a longer range. 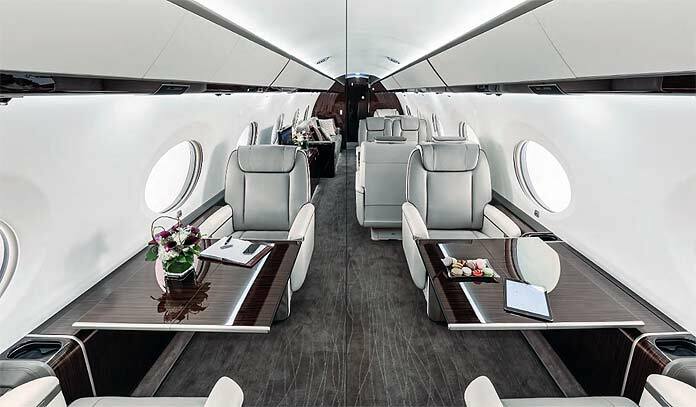 These long-range jets from Gulfstream cater to high net worth individuals and corporations who need transportation with a global range. Gulfstream jet owners of note include Tom Cruise, Mark Cuban, Larry Ellison, Peter Jackson, Phil Mickelson and Tiger Woods. You should undertake a complete financial and legal analysis when purchasing an aircraft.